Reader Question: Can I Place My Gas Range and Refrigerator Next To Each Other? A: The kitchen is one of the areas of the house that's the trickiest to design. Its layout should be as efficient as it is pleasing to the eye. In planning the kitchen, you also have more appliances to consider than any other area of the house. Since you have an adequately sized kitchen, you have the luxury of space. According to feng shui and ergonomic rules, the gas range and refrigerator should be placed a good distance from each other. They should preferably be more than one meter apart. If possible, plan it so that the gas range and refrigeratior are not directly adjacent or across from each other. However, don't place them too distant from each other! 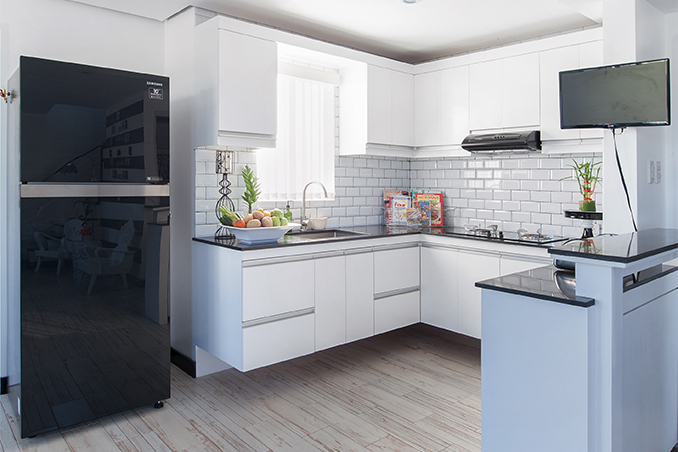 Remember to arrange your three work centers (gas range, refrigerator, and sink) in a triangle so you can easily get from one area to another. I like L-shaped and U-shaped kitchens the best! Read the original article ("Ask It") in the October 2008 issue of Real Living Magazine. Download your digital copy of Real Living on the Real Living App now! Log on to summitnewsstand.com.ph/real-living for more details.